Plans for a 14-turbine wind farm between Ose and Struan on Skye are due to go before Highland Council’s north planning committee next Tuesday. 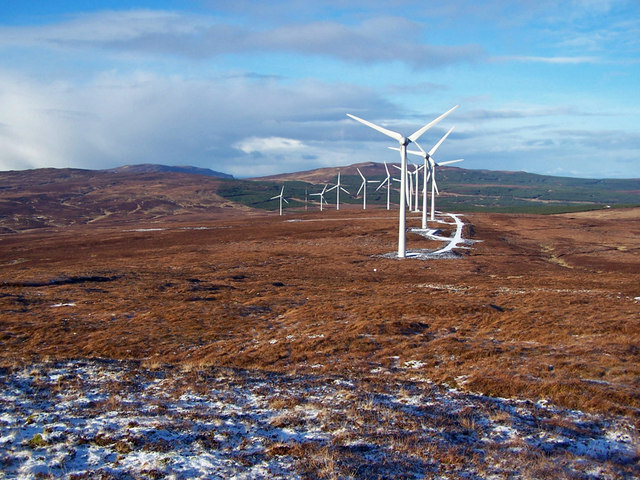 The Scottish Government, as the owners of the land, are supporting the partnership approach being taken between Kilmac Construction and local crofters, and if given the go-ahead, the proposed development will be able to generate 42 MW — enough electricity to supply 23,000 homes per year. The total capital construction costs of the proposed development are estimated at over £55 million, with around £5 million likely to go to the local contractors. After engaging with the five local community councils for over three years an agreement has been reached which will see a community investment fund of £250,000 per year being distributed among the closest communities to the wind farm — Struan, Dunvegan, Minginish, Portree and Skeabost — to support a number of local initiatives, if the development is given the go-ahead. A yearly payment will also be allocated to the whole of Skye, and to the Highland Council. This amounts to £6.25 million over the lifetime of the project.